It’s getting bad down there. At 1:30 p.m. ET / 12:30 p.m. CT, Hurricane Michael has made landfall near Mexico Beach, Fla as a Category 4 hurricane with max wind speeds of 155 mph, and moving north northeast at 14 mph. The hurricane is set to crash into Panama City Beach head on during the 3 p.m. ET / 2 p.m. CT hour, and according to to the National Hurricane Center, there’s “life-threatening storm surge…hurricane force winds…and heavy rainfall occurring over the Florida panhandle” right now. 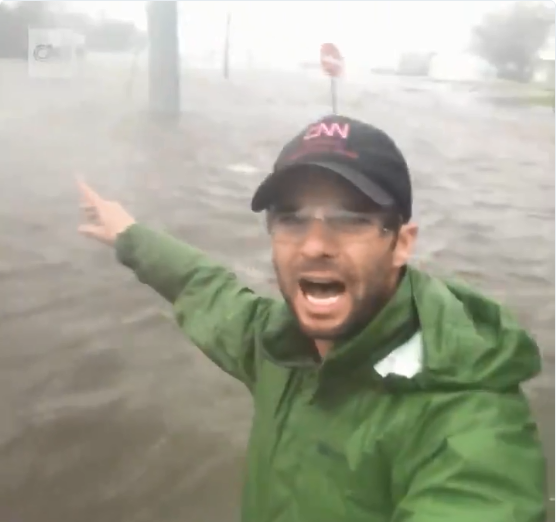 ABC News chief meteorologist Ginger Zee and her crew appear to be OK. The Weather Channel’s Jen Carfagno is in Tallahassee.